Postcard flyers are not just for you to brag while holidaying in some exotic part of the word; they are powerful promotional tools to any business and can be used as inserts, giveaways or sent via direct mail to the target or existing customer. You can have your postcards designed using various templates to suit every occasion. They apply to retail shops, real estate agents or even the smoothie stand with an offer for customers. With our size variations, you can design postcard flyers measuring 4×6”, full page, 1/2 page (8.5×5.5″), 1/3 page (3.5×8.5″) or 1/4 page (4.25×5.5″), not forgetting the sell sheets. We cover very paper thickness from 12pt, 14pt and 16p postcards for your desired quality and postcard style. Our state-of-the-art printing technology can handle UV coated paper sheets, uncoated, silk laminated papers, and linen. Our services include foil stamping, embossing, and die cutting. We do professional finishing of the printing job with matte, kraft, painted edges and full-color foil to the satisfaction of every client. 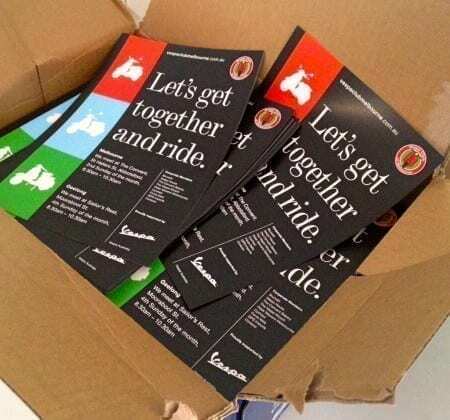 With our many styles of postcard flyers, you can reach your target customer cost effectively. You can get your message straight to the hands of the customer on a quality postcard. This direct and effective marketing strategy takes only a few minutes to create, and the printing and delivery process will be a matter of days, and you have the tools in your hands. Over the years marketing with postcards has emerged as the most effective direct marketing tool that brings specific visitors to your site. It efficiently mixes the web and print technology to improve business visibility, and revenues cost effectively. – Make it look like a message from a friend and not as an advertisement. Designing your postcards from a personal perspective instead of an ad will dramatically increase the response rate. Working with fonts that look like real handwriting with imperfect lines and some fake sticky notes make your postcard appear natural and the target audience will love it. – Create intrigue and motivate the customer to want to read more and make the next step. This can be to visit your site or make a purchase. Don’t push them to close immediately, instead, create the interest with short, catchy headlines that will make the customer want to dig more about your offer and business. – From the postcard, you can send your customers to a landing page with relevant information and high chances of converting the visitor into a customer. Create short URLs that are easy to remember even when the customer has no access to the postcard anymore. – Start pitching right from the address side to motivate your clients to turn over the card and read more of what you have to say. Postcards may seem old fashioned; however, they are excellent at conveying your message directly to your market. This inexpensive marketing tool holds a significant potential for growing your business. Here are some ways to use it. – Create the postcard using excellent material and do it with an experienced graphic designer to impress your clients. – Use some customer testimonials in your marketing to help the audience align with your message. – Consider full-color printing, don’t be cheap in your design. Use color liberally to capture the visuals and create imaginations in your customer’s minds. – Send the cards to people you meet at events. As long as you have their information and they are potential customers, send them postcard flyers. Even current customers need periodic postcards in their mail to remind them of your products or update them on any changes you might have made on your goods and prices. – Send out your postcards with the monthly mailers that go to members of the Chamber of Commerce. Your local chamber will give you more information on how to achieve this task depending on your business and membership status. – Remember your customer on their work or family anniversary such as a birthday or wedding. This way you will be celebrating with them as you make your business better known to them. You may even include a special discount for their next order. – Your existing customers would like something new, something different from the regular brochure to differentiate you from the rest. Use postcard flyers for real estate listings, and discount offers at your restaurant, jewelry shop or any other store. They are also effective for marketing and promoting creative works like art and illustrations.